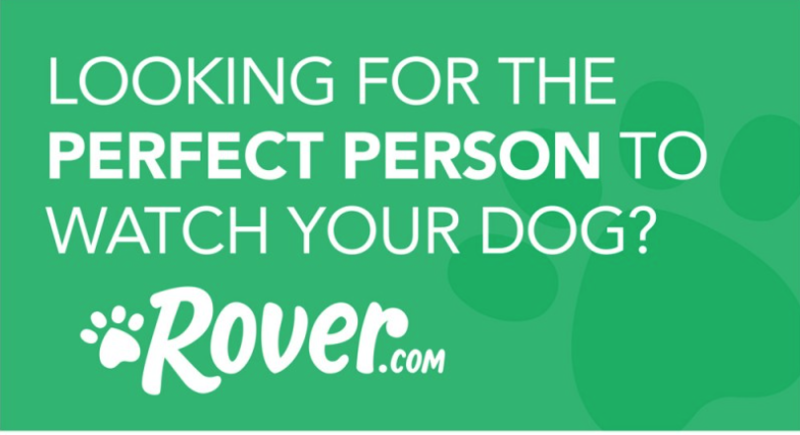 Good with other dogs: Yes! I love my foster brothers who are also French Bulldogs. I give them kisses, like chasing them around and don't mind sharing my treats with them. Good with cats: Unknown - my foster family doesn't have a cat. Crate Trained: Yes - sometimes I bark when I'm in my crate when I know my humans are home because I want to be with them! House Trained: I'm working hard at house training! My foster parents are taking me outside frequently so I can learn that's the correct place to do my business. I'm working hard to stop marking around the house but right now I'm still having a few marking incidents every day - decreasing since I've been neutered. Physical Fence Required: Not required but preferred. 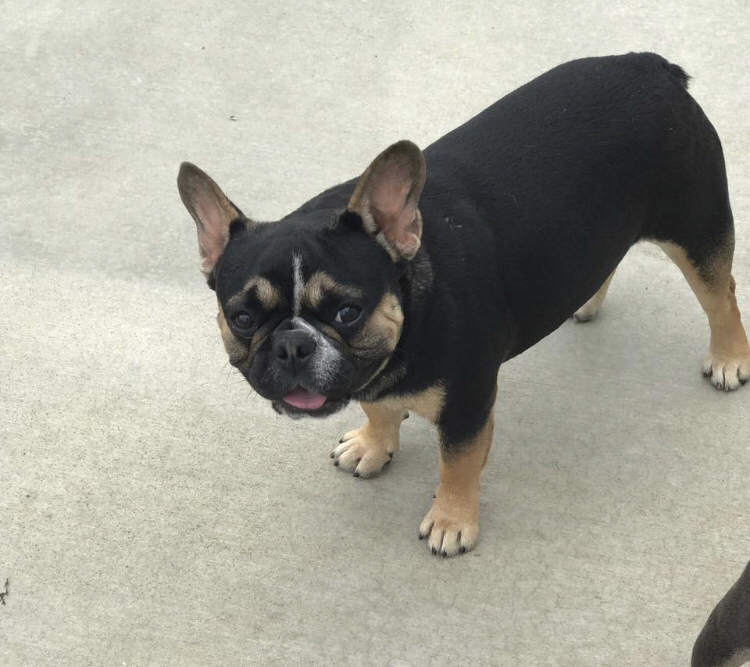 I get the frenchie zoomies and like to run around. However, I do well on a leash and enjoy going on walks. 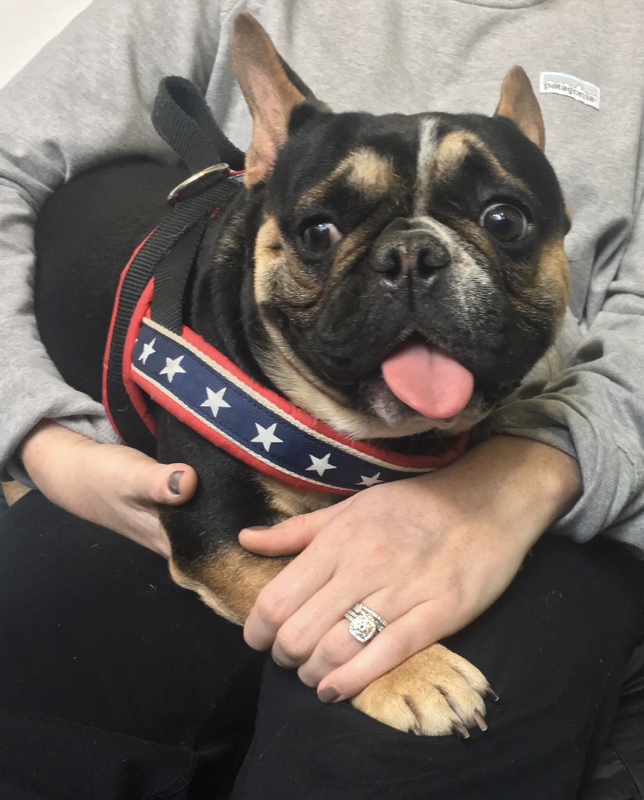 Prior to applying to adopt Tank please review our adoption process on our website with rules and process information. Please consider sponsoring Tank to help with his medical bills. My Ideal Home: Cuddles- I do enjoy a good cuddle and belly rub, but I do have trouble sitting still for more than a minute or two- I'm a busy guy! Walks- LOVE walking on a leash with my foster brothers! Bath time - I get a bit scared but don't mind bath time! Car time - I get a bit nervous in the car. My foster parents have a dog car seat that I enjoy. Getting along with other dogs/cats/kids/humans - I LOVE my foster brothers and adore my foster humans. I give everyone kisses and have a very sweet temperament. I get a bit nervous when I'm taken to a new home or am introduced to a new dog but then eventually I come around. I haven't been around kids yet. Playing with toys- I love squeaky toys and a good bone. However, I am a bit of a mischievous toy thief! I enjoy stealing bones from my foster brothers instead of chewing my own. My ideal home: Hello world - I am Tank! My foster parents call me Tanky or Tank-a-lini. 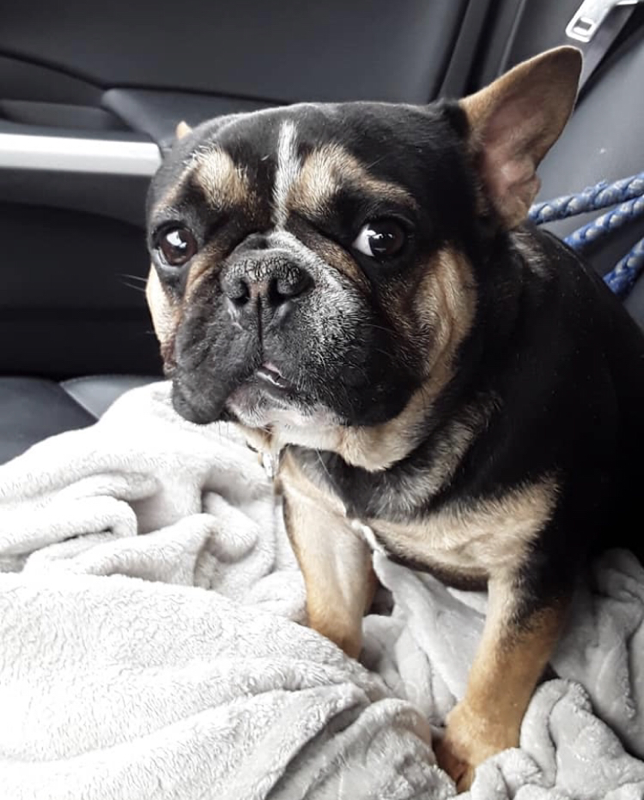 I am a beautiful black and tan frenchie boy that's estimated to be between 1 and 2 years old. 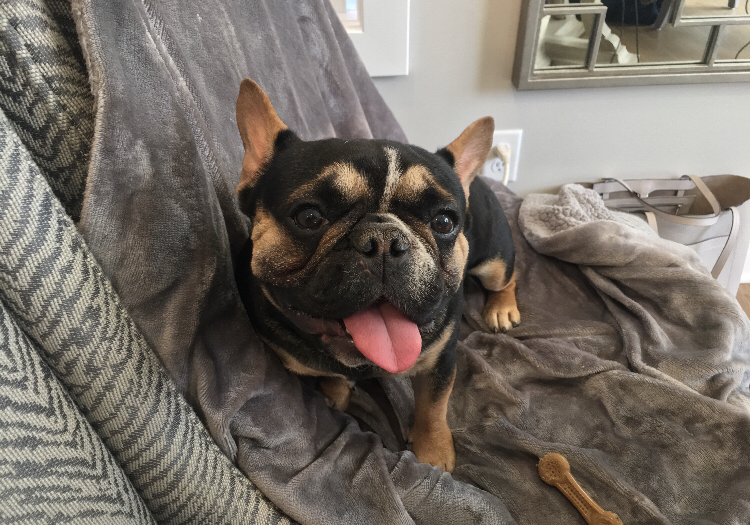 I have Tank-loads of energy :) Things I love - belly rubs, water Popsicles (aka ice cubes), my French Bulldog foster brothers, and a good bone. 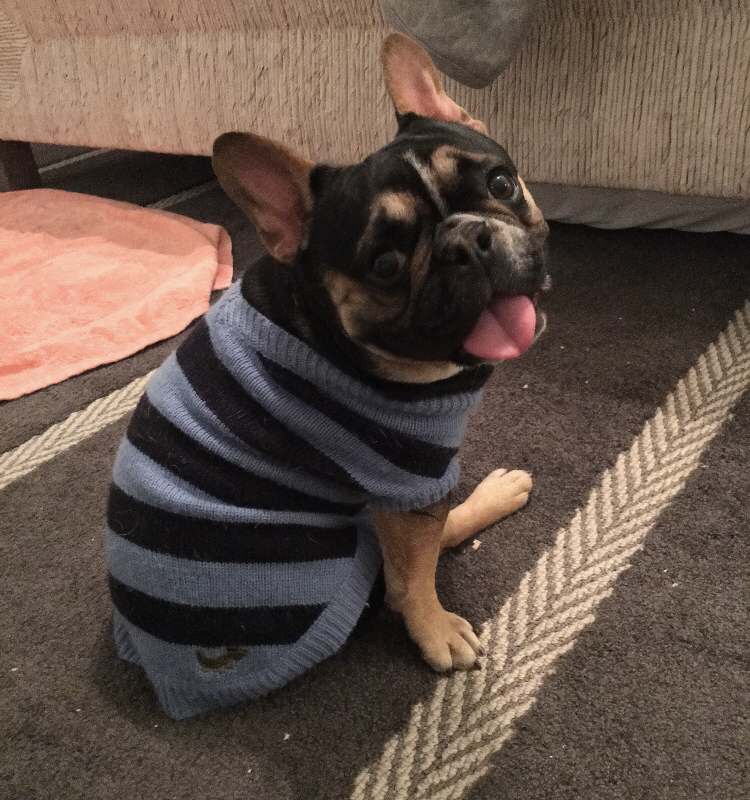 I always have a big frenchie smile on my face and sometimes my little tongue sticks out which everyone thinks is adorable. I'm still working on my house training. When I first arrived at my foster paw-rents house, I was marking a lot. Now that I've been neutered, I'm doing much better. I love going on walks with my foster brothers and do well on a leash. 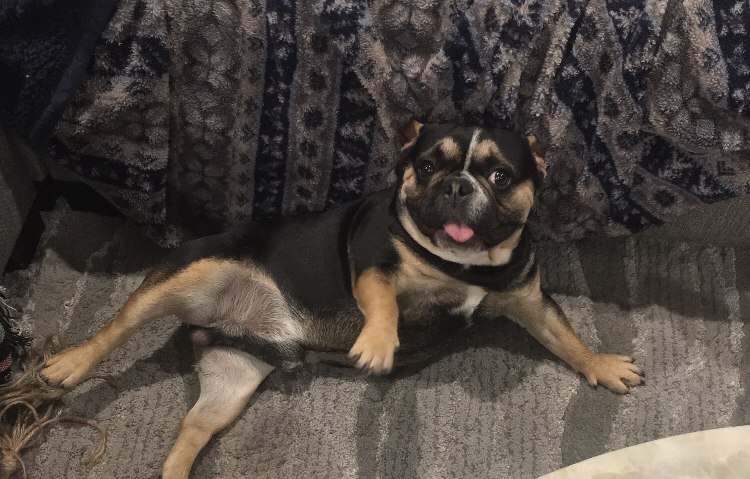 I am a high energy guy that gets the frenchie zoomies frequently! I'm always moving around the house and have some trouble sitting still! 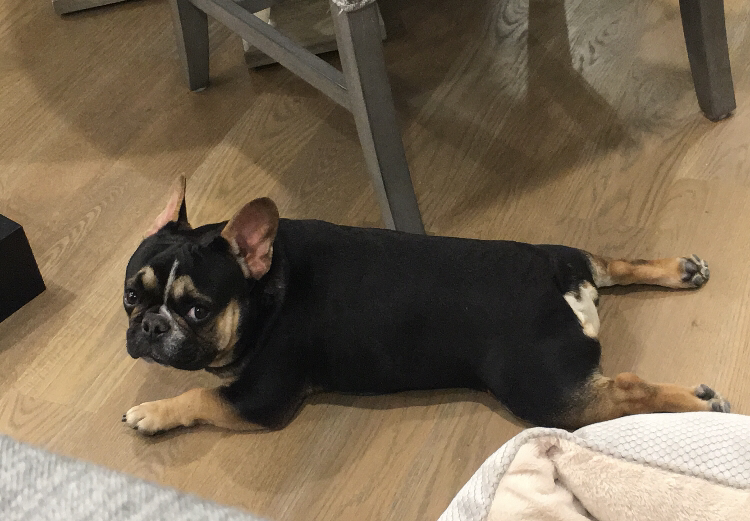 My foster family is trying to teach me what it means to just chill on the couch and relax - something my frenchie foster brothers are experts at already. I would do best in an active home where my hoomans can spend lots of time with me and give me the exercise I need to help me tire out by the end of the day. I would LOVE a fur-sibling that can keep teaching me proper dog behavior, preferably another pup that wouldn't mind a brother that's a bit of a bull in a china shop. I need a family that will have patience as I keep working on my house training. My foster parents say that I am an extremely cute and loveable guy that has an irresistibly fun and quirky personality. With that said - please consider adopting me so I can have a full-time home for the holidays! 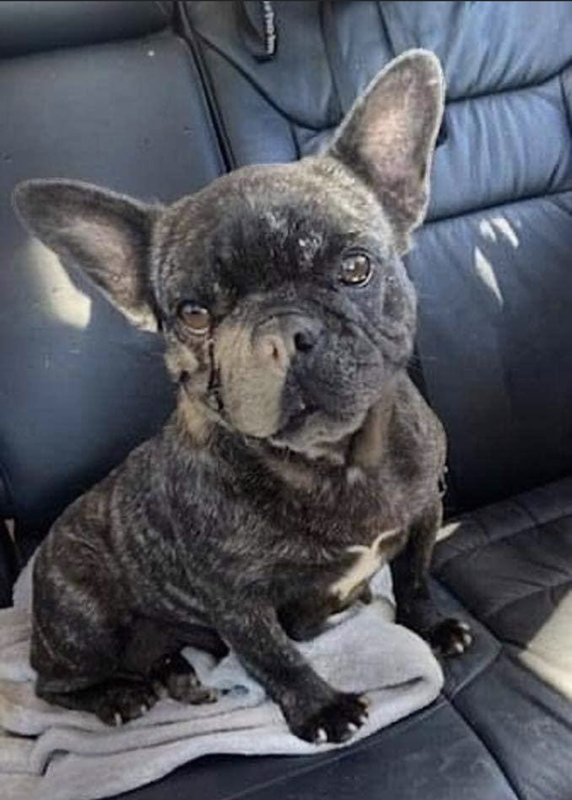 Intake info:I was surrendered by a breeder.